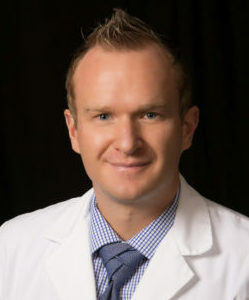 Dr. Matthew Allred was born and grew up in Bountiful, Utah. He married his wife Chrissy upon returning from an LDS mission in Uruguay. Dr. Allred attended the University of Utah and graduated with honors in Health Promotion and Education. He received his D.O. degree from Des Moines University School of Osteopathic Medicine in Iowa. He rotated at Madison Women's Clinic as a medical student and soon found his calling. He completed his training at Mercy Hospital St. Louis Ob/GYN residency program in Missouri as chief resident. Dr. Matthew Allred enjoys minimally invasive surgery including Laparoscopic, Hysteroscopic procedures, and Geneveve by Viveve.